Once the liver has become unhealthy, the effects can be seen to other organs in the body as well. A way to rejuvenate your liver and relieve the symptoms that you are experiencing is to cleanse it through liver flush. This method is believed to be a detox or a way to detoxify the affected organ. 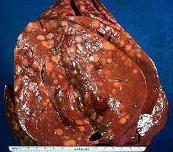 Moreover, this is a natural treatment to restore liver health. There are actually a lot of variations in the recipes on how this method is done. However, the procedure always involves the use of Epsom salt. So, how is liver cleansing with Epsom salt done? Read on to learn more how this helps in cleansing the liver. Prior to cleansing, one should eliminate the parasites in his system because it may not be cleansed if there are parasites in the liver. Ask your doctor regarding the program to get rid of them. Moreover, select a day like Saturday to perform the procedure. To start off, do not take any vitamins or pills on the day of the cleanse, ad stop the parasite maintenance program, and consume a fat-free diet for breakfast and lunch to allow bile build-up and develop pressure in the liver. Remember that the higher the pressure, the more stones will be flushed out. Do not drink or consume food after 2PM. Prepare the Epsom salt drink by mixing in 4 tablespoons of it in 3 cups of water. Pour the mixture in the jar. At 6PM, drink ¾ cup of the Epsom salt solution. Drink another ¾ cup by 8PM. By 9:45, pour a half cup of olive oil in a jar. Squeeze the grapefruit and make sure that its juice is at least ½ cup. Add the grapefruit juice into the olive oil. Shake the solution hardly until it achieves a watery consistency. Drink the olive oil and grapefruit solution at 10PM. You need to drink the potion within 5 minutes. Now, lie down immediately. Lie flat on your bed and lie still for 20 minutes, then go to sleep. Upon awakening the next morning, take another ¾ cup of Epsom salt drink. Be sure not to drink this before 6 o’clock in the morning. After 2 hours, take the fourth and last dose of the Epsom salt drink. You may get back to bed if you want. You may resume eating after another 2 hours. You can start with fruit juice and eat fruit eventually. You may consume your regular diet after an hour, but try to keep a light diet. The next morning, expect diarrhea. Look for the gallstone along with your bowel movement. Usually, these stones are tan or green colored. You may have to repeat this cleanse at two weeks interval, until such time when the stones have been flushed out to produce good effects and to avoid experiencing the same symptoms again. Liver cleansing with Epsom salt is generally a home remedy, but this procedure may make you quite ill, which is why you should ask a medical professional’s advice prior to partaking this method. Good luck!